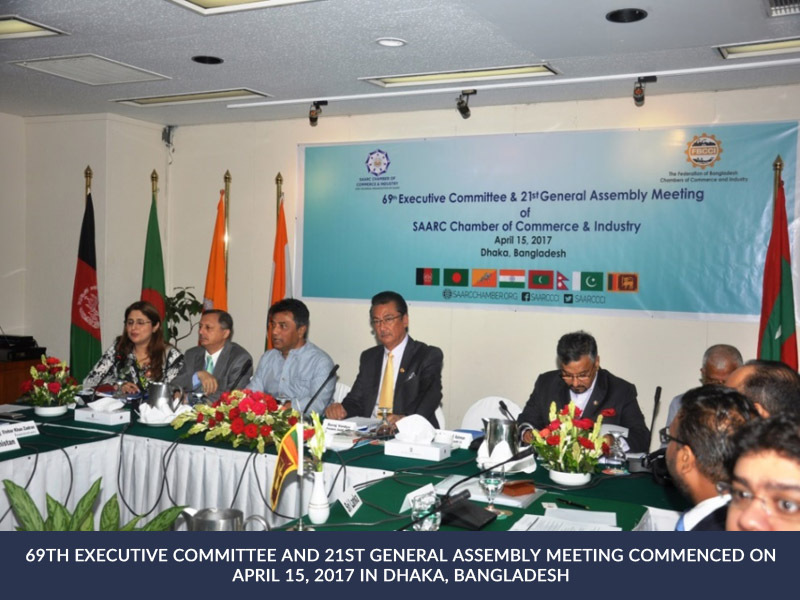 69th Executive Committee and 21st General Assembly Meeting commenced on April 15, 2017 in Dhaka, Bangladesh. 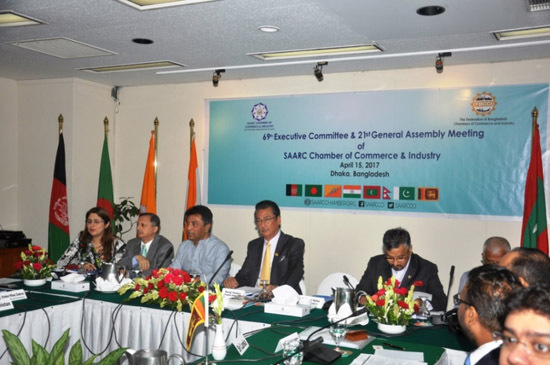 The 69th Executive Committee Meeting of SAARC CCI was held on April 15, 2017 under the Chair of Honorable President SAARC CCI, Mr. Suraj Vaidya, at Pan Pacific Sonargaon Hotel, Dhaka, Bangladesh. 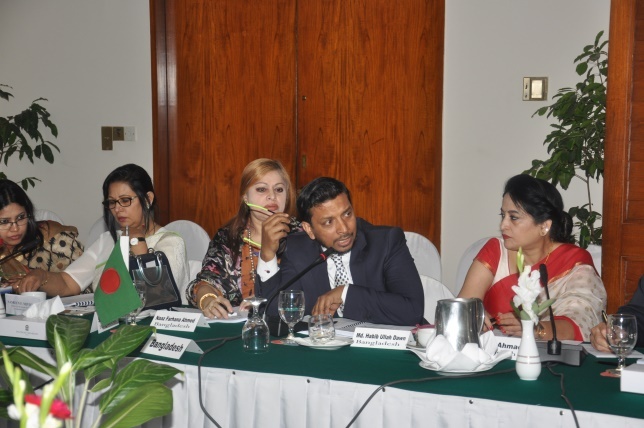 The meeting commenced formally with the welcome address by Ms. Hina Saeed, Executive Director SAARC CCI. The President SAARC CCI, Mr. Suraj Vaidya welcomed the Former President of SAARC CCI, Mr. Annisul Haq and thanked him for honoring the SAARC CCI Executive Committee meeting with his presence. 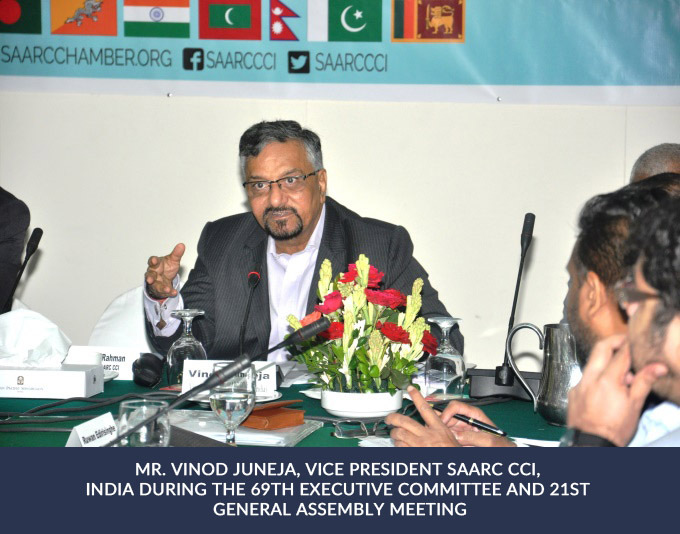 Mr. Anis-ul-Haq, the Former President of SAARC CCI, addressed the EC Meeting and said that despite of several issues and hurdles in the history of SAARC, it has been able to survive. Mr. Haq, Former President of SAARC CCI applauded SAARC CCI for involving youth; and stressed upon formulating an action oriented plan for the young entrepreneurs of the region. 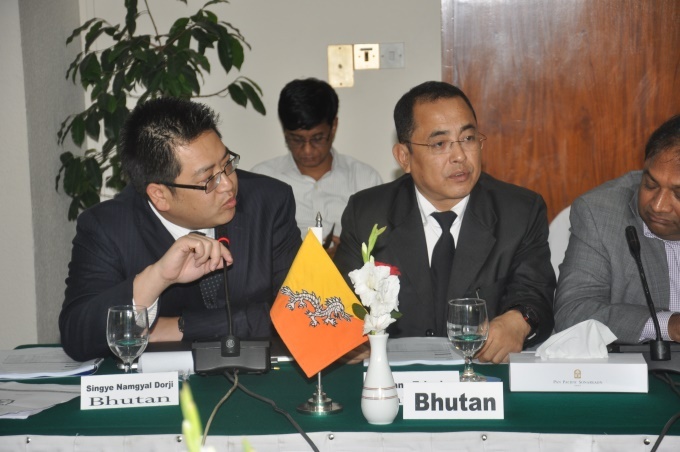 He said that under the organized and dynamic leadership of Mr. Suraj Vaidya, SAARC CCI politicking has increased over time. He also welcomed the Executive Director SAARC CCI Ms. Hina Saeed to the SAARC CCI secretariat. 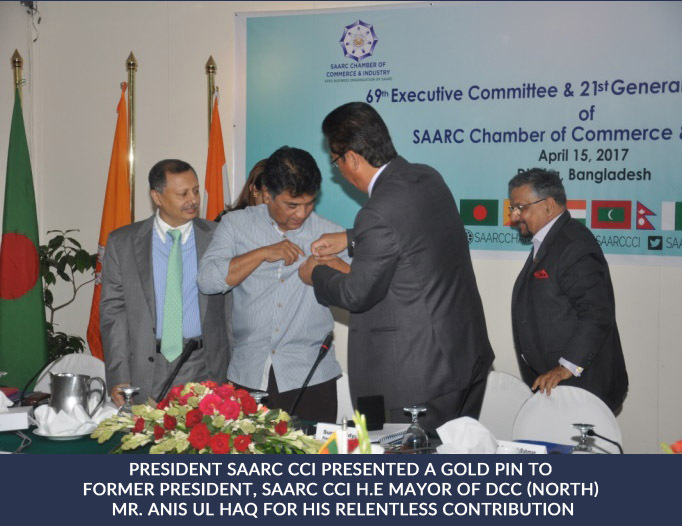 The President SAARC CCI, Mr. Suraj Vaidya, presented the SAARC CCI Gold Lapel Pin to Mr. Annisul Haq as a token of appreciation for his services and contribution towards SAARC CCI, as President of SAARC CCI during the term 2010-2012.